Placed between the rope and a load, this swivel allows the load to turn without twisting the rope when hauling. The encased sealed ball bearing unit keeps the swivel action smooth even after years of use. 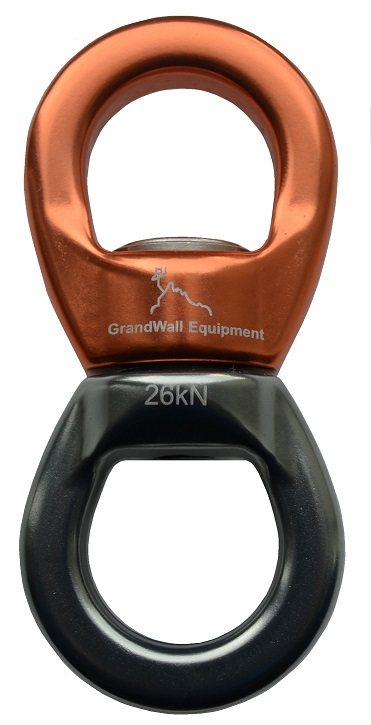 Load side will accommodate up to two carabiners.